The Oxford American’s annual Southern music issue will salute the great musicians and writers from the Commonwealth of Kentucky with a performance-driven celebration on November 28 and November 29 in Lexington. Since 1997, the Oxford American has published a music issue every year. 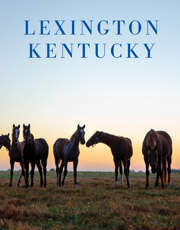 Starting in 2009, the venerable publication has created themed editions featuring different Southern states. Every music issue includes a thick magazine filled with indelible writing and gorgeous artwork, all paired with a CD compilation of the state’s legendary music performers. The CD is always highly revered and acknowledged as an “incredible mixtape accompanied by the best liner notes ever,” and the Kentucky edition will be no different. Including such legendary names as Bill Monroe, Loretta Lynn and Dwight Yoakam, the CD will be released as part of the November Oxford American music issue. To celebrate the issue, Oxford American is teaming with VisitLEX to host two open-to-the-public events on Tuesday, November 28, at The Burl and on Wednesday, November 29, at 21C Hotel. The evening at The Burl will feature an eclectic lineup of Kentucky-based musicians and performers. Acts scheduled to perform are Joan Shelley, The Wooks, 1200, Johnny Conqueroo, Brett Ratliff and Tee Dee Young. On Wednesday, November 29, the performance moves to the spoken word at 21C and will be emceed by Jason Howard, and will feature readings from Rebecca Gayle Howell, Silas House, Crystal Wilkinson, Zandria Robinson, Leesa Cross-Smith and Erik Reece with musical punctuations from Joan Shelley and Brett Ratliff.